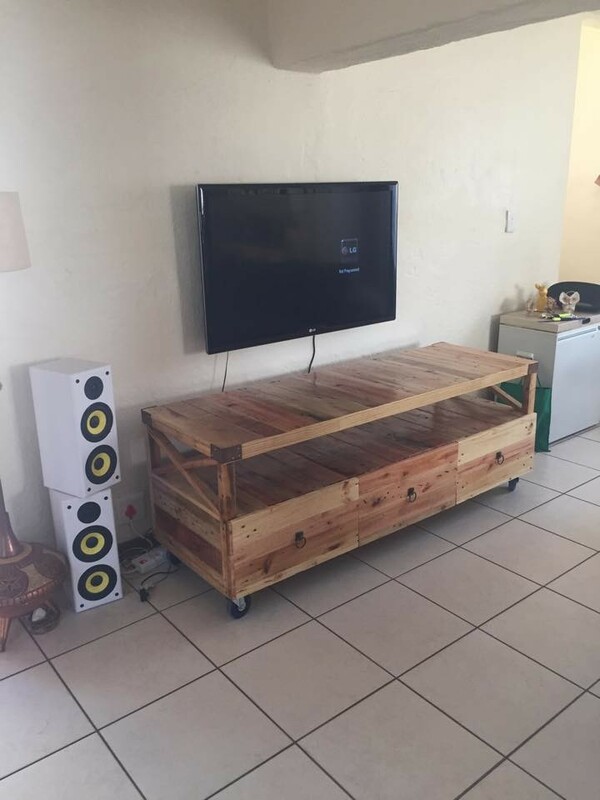 Here, you can see a very beautiful style of TV stand that is made out of pallet wood. This can be said another great and unique creation of pallets DIY crafts and furniture ideas. 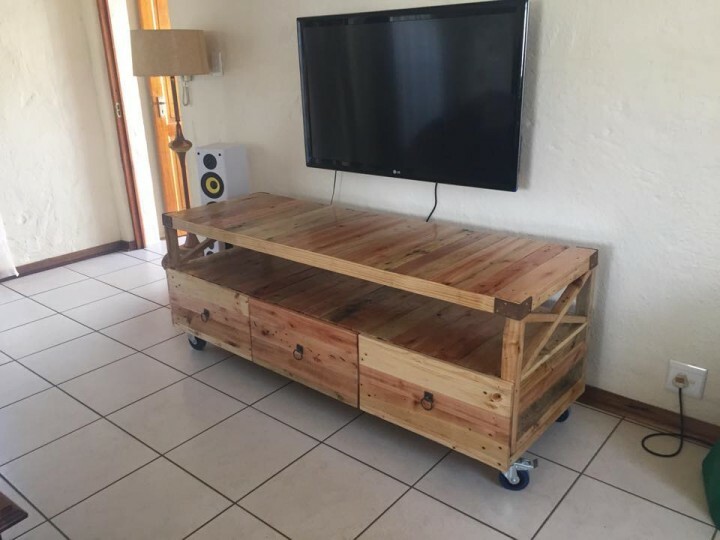 The given pallet made TV stand is constructed within simpler design but giving rustic and warm look to the environment and this is the most important feature of pallets wood that it looks very attractive. 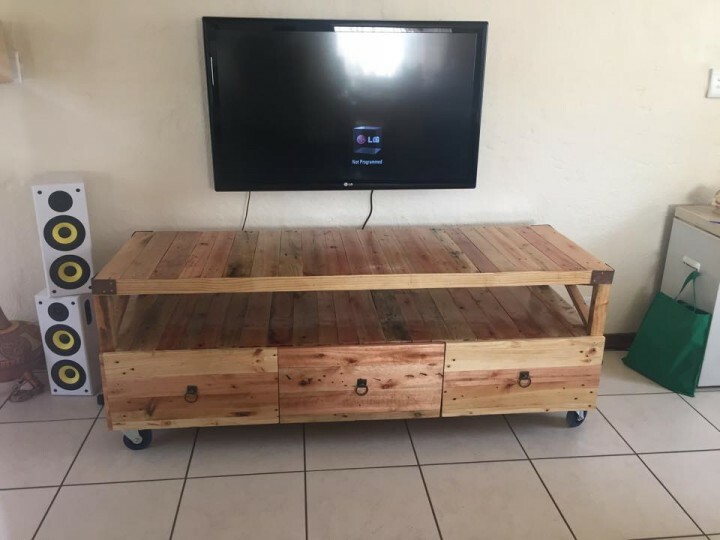 Wooden pallets rustic TV stand is made in the table style with storage spaces as well. Small storage drawers are added to this pallets made TV stand that is making it more useful to store your important household articles. Moreover, this TV stand can be used as table to place decoration crafts, books, candle stand or small flowered planter boxes on it to make it look more attractive. 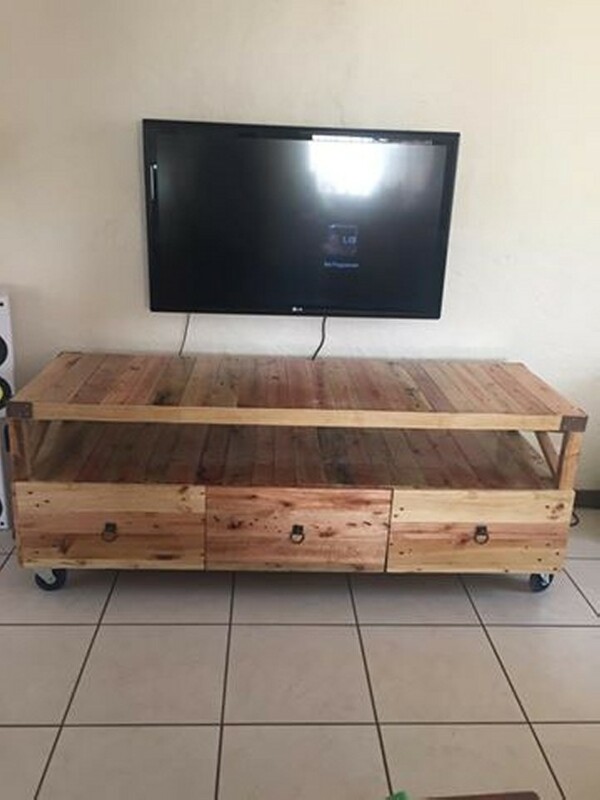 This rustic TV stand is also given wheels that make it to shift easily from one place to another. Here, you can see a visual tutorial from the given pictures of pallets made TV stand to make it yourself at home. 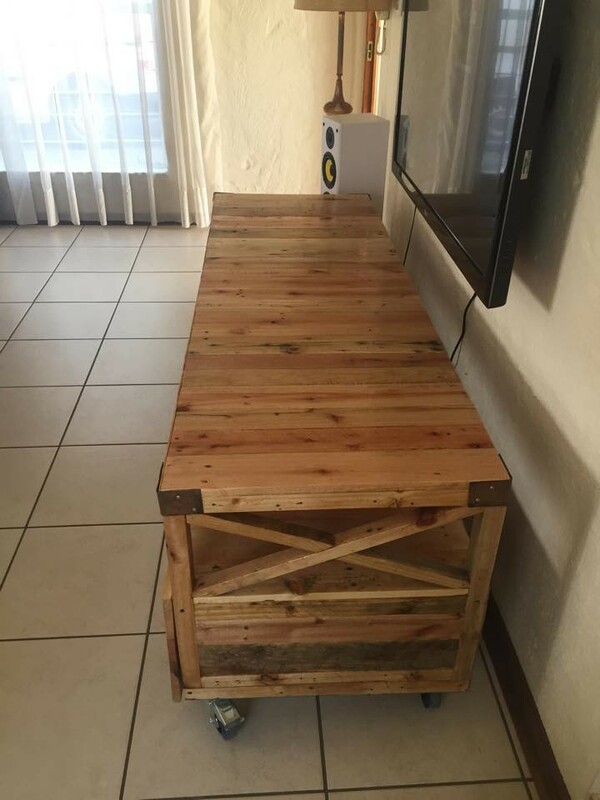 This TV stand is left in original color and texture of pallets wood and that is the reason it is giving rustic look. Pallets looks very beautiful in its original color and lets you add beauty and decor to your home environment. You must follow the pallet DIY furniture ideas to get more and more information regarding designs and styles and uses of pallet made furniture items.